Customer must purchase a minimum of 5 licenses at $48.00 per license. Minimum order for Volume Licenses is 5 seats. Volume licenses allow access to the software on a fixed number of computers. One license is installed on one computer. The licenses cannot be transferred to other computers one activated. Software claim number is electronically delivered to an administrator of the software. 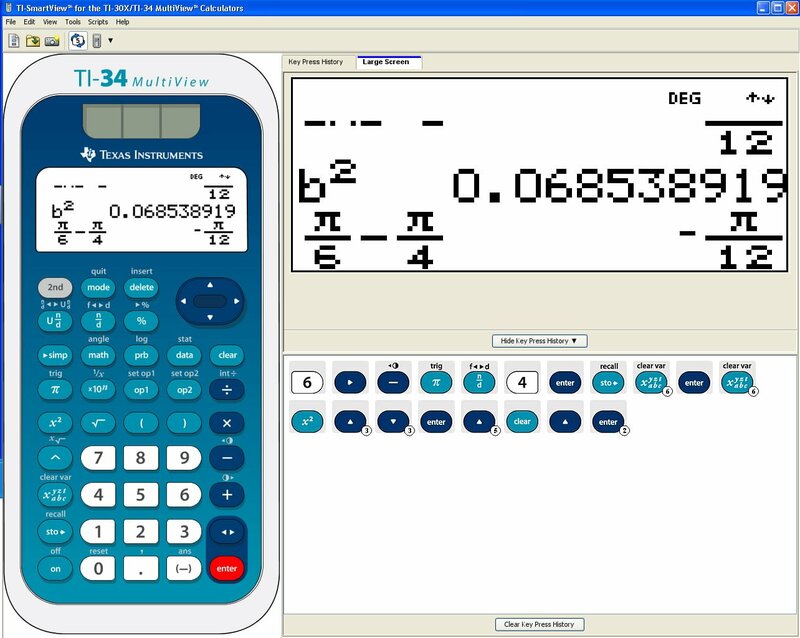 Customer will redeem claim number at Texas Instruments’ Software Claim Center at http://education.ti.com/go/softwarecenter . 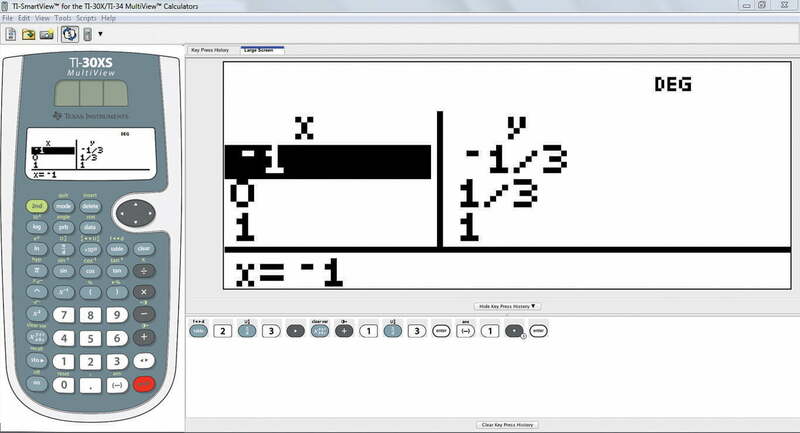 One emulator for two calculators: Use the emulator to demonstrate the unique capabilities of either the TI-30XS MultiView™ or TI-34 MultiView™ scientific calculator. Visual key pressing: Highlight projected keys to clearly show selections to your class by using a computer mouse to select the keys. Key-press history: Project key images and entire sequences so that your students can more easily follow your steps and stay on track. 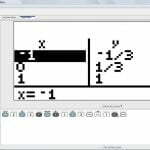 Multiple screen captures: Create and save multiple scientific calculator screen captures to develop a history of calculations for class investigations. Pre-loaded demonstrations (scripts): Pre-record key presses for automated playback during lessons. Create and edit scripts and play, pause and modify the speed of delivery. 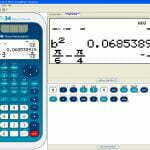 Large-screen view: Project an expanded calculator screen to help students in large or crowded classrooms see important details. For the system requirements of the latest version, see education.ti.com/software/requirements.